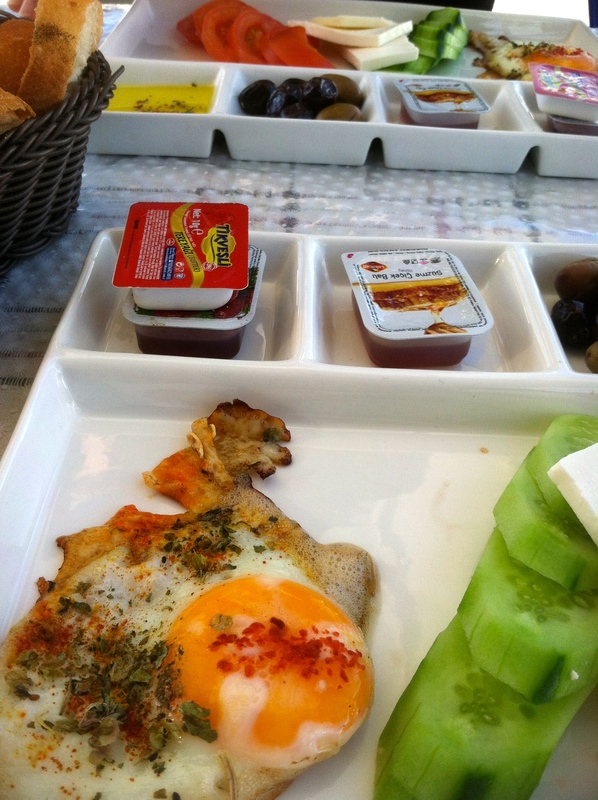 I have enjoyed Turkish breakfast in a variety of settings. 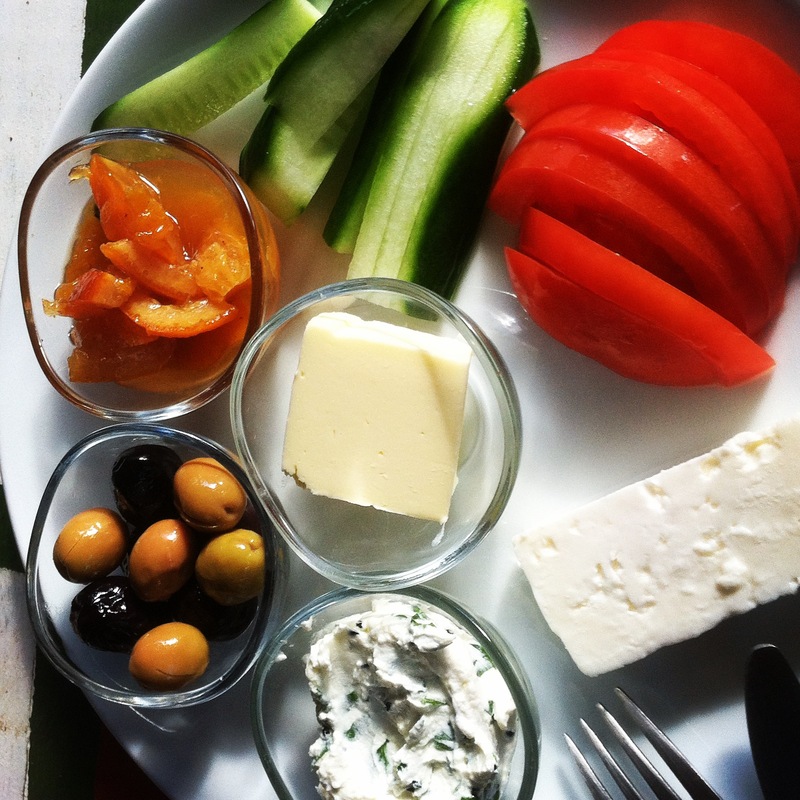 My first taste of this delicious daily tradition was in a pension in Bodrum. From there, I traveled 20km to Turgutreis to stay on an ecofarm where I tasted the most delicious homemade orange jam from the trees in the backyard. 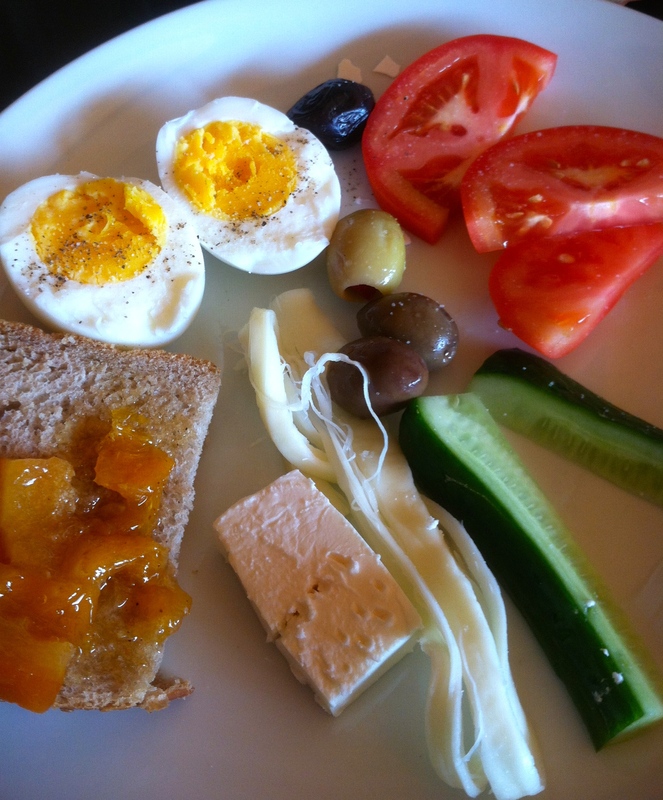 My next memorable breakfast was in the apartment of two college student who prepared the usual edibles including sides of “bitter honey” and freshly prepared stove top tomato and pepper chutney. Moving from Denizli to Olympus via Antayla, I once again tasted fresh oranges from trees on the property, this time simply cut into quarters and served. I’m in breakfast heaven. Every Turkish breakfast included at least one Turkish person who is warm and welcoming, ready to instruct you as to the proper way to begin one’s day. Do not overlook this essential ingredient. However, since not all of us are friends with Turkish people nor have the ability to fly at a moment’s notice to Istanbul, made do with the friends and family that you have readily available. Ingredients: orange trees, chickens, cheese, tomatoes, cucumbers, honey (local), bread/simit, jam (cherry preferably), salt and pepper (for the table), Turkish teapot, small bowls, Turkish teacups, plates etc. Prepare the tea*. A day does not begin nor end without this steaming hot beverage. Drink at will. Go outside to your orange trees and pick some oranges. Cut oranges in slices for easy consumption or boil with sugar and cloves for a sweet, sticky jam. Collect the daily eggs from your chickens or sneak across the street to the friendly farmer for some of his/her eggs. Boil water for the hardboiled variety or fry in olive oil and sprinkle with cumin and paprika. Take an inventory of the cheese recently purchased from the market. Slice fresh feta into squares or triangles depending on your geometric preference. Wash fresh tomatoes and cucumbers and slice accordingly. Slice fresh bread purchased earlier that morning from the bakery. Rip simit** into pieces or leave whole. Put various condiments into adorable little bowls for easy access. Place sliced bread and simit in a basket and set the table. Fill tea glasses for guests with sugar cubes on hand. Serve. Enjoy. Repeat daily for maximum smiles. 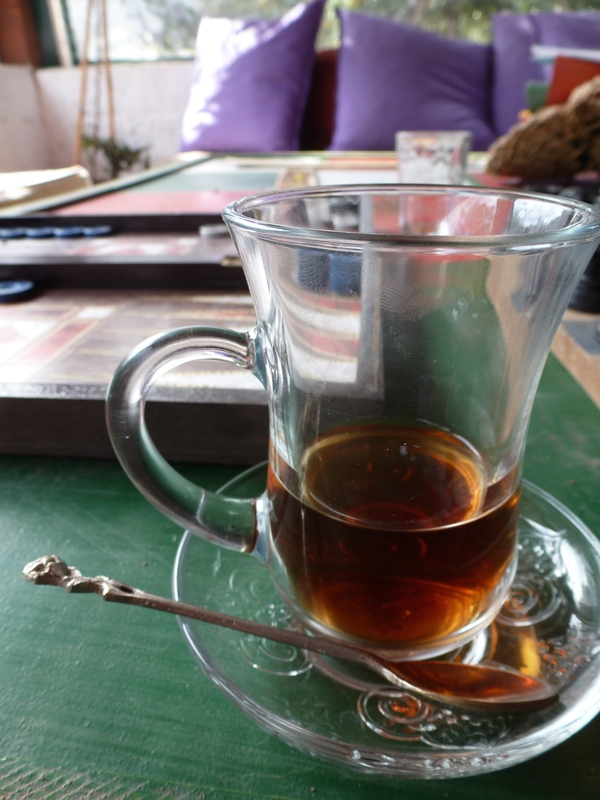 *Tea is an essential part of Turkish culture. The most common teapots look like two metal containers stacked together. The bottom pot is filled with water and placed on the stove to boil. The second stacked pot is filled with tea leaves. As the water boils, the top pot steams the concentrated tea. To serve the tea, make a ratio (3:1) of boiling water and concentrated liquid in individual glasses. **Simit is a soft breadstick looped into a ring shape and covered with sesame seeds. Found at all cafes and bakeries. Oh. My. Goodness… Don’t know where to look first! This is INCREDIBLE!!! I need an orange tree and chickens!! What an experience.. This reminds me of a great breakfast (brekkie) I had while traveling in Australia last month which I took notes on: Eggs, sliced avocado, broiled tomatoes, sautéed mushroom cups with a tiny slice of feta cheese in the middle, wonderful lean bacon, toast and jam, along with coffee. I will be making the one you pictured. Thanks for sharing! Oh my gosh that sounds amazing. Maybe I should make your breakfast and we can compare notes. Have yet to get to Australia but after meeting so many Aussies on the road it’s definitely on my bucket list!